Everybody wants to talk about the baby but... I never saw the baby so I can't talk about the baby because I don't believe in the baby. Meg won a Golden Globe for this role, and was nominated for the Best Supporting Actress Oscar. 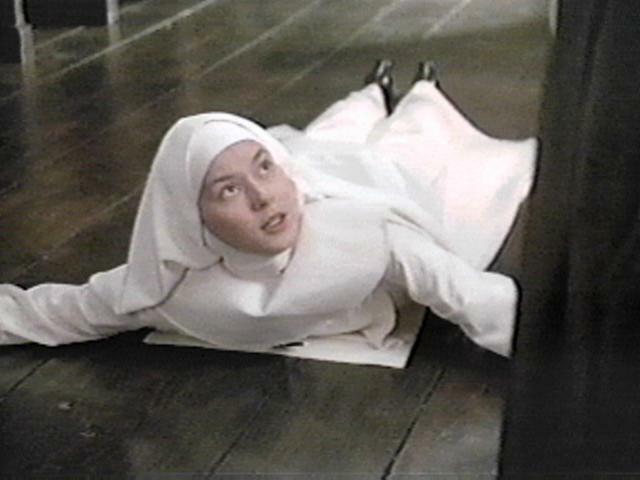 Meg plays Sister Agnes, who is discovered in her convent room with the body of her dead baby. Jane Fonda plays Dr. Livingston, a psychiatrist assigned to determine Sister Agnes' mental ability to stand trial. Anne Bancroft plays Mother Miriam Ruth, head of the convent. It's easy to see why Meg was nominated for an Oscar for this role - she carries off the role of an innocent and naieve nun to perfection. Some people may be thrown off by the religious overtones, but this is an excellent mystery that keeps dropping surprises in your lap. And although Fonda does a great job, I must say that Anne Bancroft's Mother Superior role was a scene-stealer!